Over the last two decades, Animals Asia has spent every single day working to help animals in need – what we’ve achieved together is amazing. 1/ We’ve rescued 616 bears from extreme cruelty. The vast majority of the rescued bears suffered for years on bear bile farms in Vietnam and China. After rescue, each one was treated as an individual and given a life worth living. 2/ Having campaigned against bear bile farming for 20 years, we’ve exposed the industry’s cruelty to the world and shocked millions of people into action to help end the unnecessary suffering. 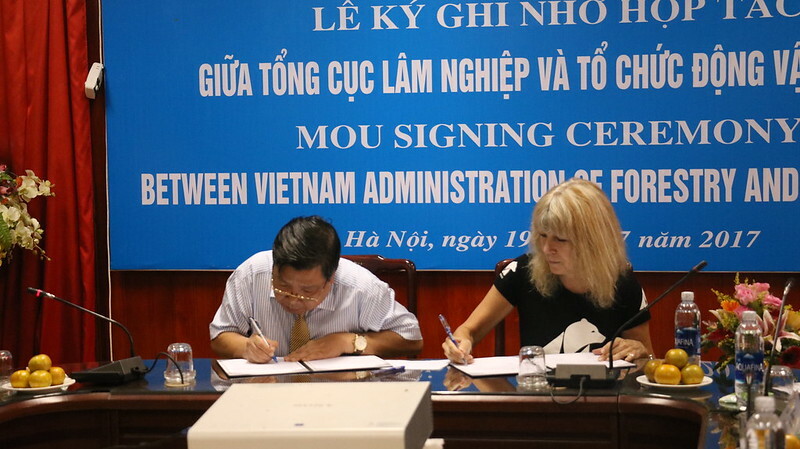 3/ We’ve signed an agreement with the Vietnamese government to close 100% of bile farms in the country within five years and send up to 800 bears to sanctuary. 4/ Our China Bear Rescue Centre remains the only bear rescue centre in China. It is literally the last and only line of defence for brown bears and moon bears in need of help. 5/ Our sanctuaries provide almost 65,000 square metres of enclosure space for rescued bears. That’s equivalent to more than nine football fields and each one is packed with trees, climbing structures, ponds, swings and spaces to explore. 6/ Every year, we perform at least 200 health checks on rescued bears. Keeping them healthy, pain-free and active throughout their sanctuary years. That’s nearly four health checks every single week – or one every other day. 7/ We feed our rescued bears over 370 metric tonnes of fruit and veg every year. That’s the equivalent of nearly 70 adult Asian elephants. Every single tonne had to be delivered, washed, chopped and spread throughout the bears’ enclosures so that they could forage just as they would in the wild. 8/ Each year, more than 7,000 people visit our sanctuaries in Vietnam and China to learn first hand about the horrors of bear bile farming, and to see the difference we can all make to end their suffering. 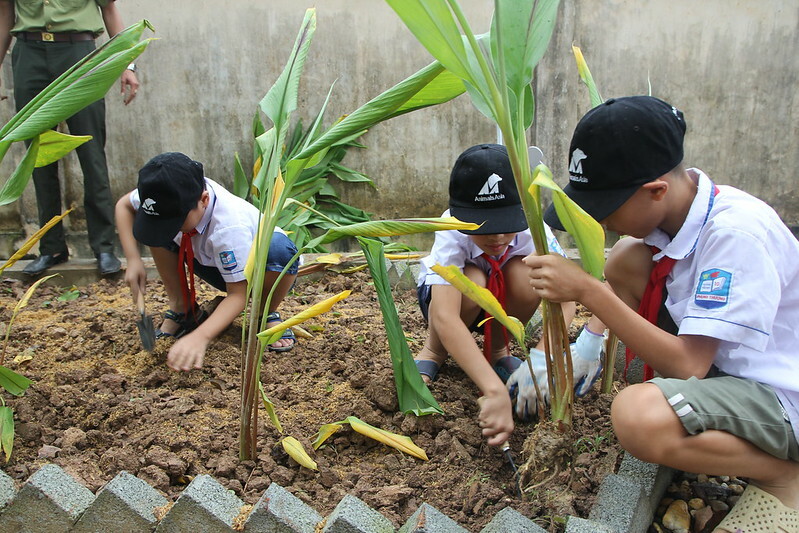 9/ We’ve established seven herb gardens in partnership with local traditional medicine doctors in Vietnam’s Ha Giang, Hanoi, Nghe An, Tay Ninh, and Vinh Phuc provinces, as well as at our sanctuaries in Vietnam and China. The gardens contain over 4,000 plants of 30 varieties of herb which can be used as alternatives to bear bile. 10/ We’ve shown 600,000 people that dogs can enrich our lives as part of our long-running Doctor Dog and Professor Paws programmes. These canine therapists and ambassadors visit schools and hospitals across the country to teach people about dogs and to provide comfort to the sick and the lonely. 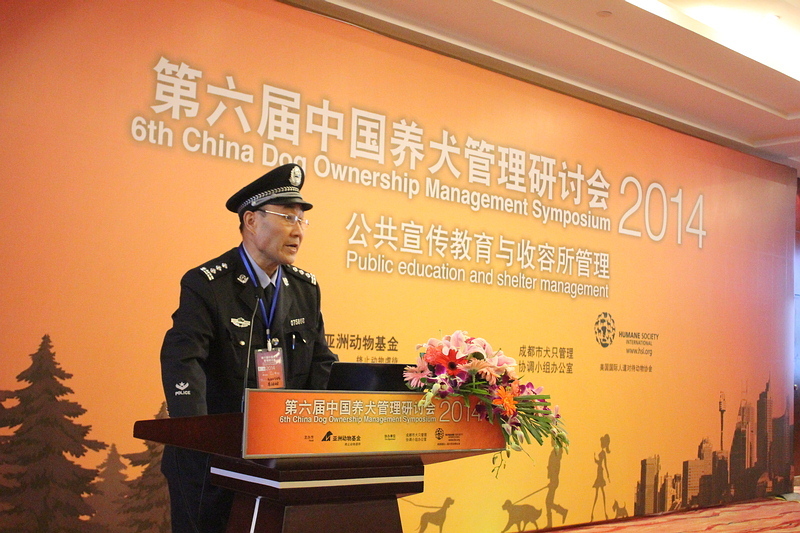 11/ More than 523 officials from 51 cities across the country have attended our Dog Ownership Management Symposium – covering every single principality in China, and 65% of all provincial capitals. The symposium encourages local governments to work with animal welfare groups to develop advanced, humane, science-based policies governing dog owners and departments in charge of stray populations. 12/ We fund or mentor 158 grass roots animal welfare organisations in China working on the ground day in-day out. That’s 63% of all China’s animal welfare orgs. 13/ Our in-depth reports revealed ZERO evidence of large-scale dog meat farming in China – supporting the theory that the majority of “meat dogs” are snatched strays and stolen pets. 14/ Our Doctor Dog and Professor Paws programmes have been so popular and inspirational, they’ve spread to five countries around Asia. 15/ As part of the Asia Canine Protection Alliance, we have stopped the transport of around 500,000 dogs per year from Thailand to Vietnam since 2016. These dogs were destined for harrowing journeys and brutal deaths at the hands of the dog meat industry. 16/ Our work opposing animal performance has led to over 30 zoos in China, Vietnam and Indonesia ending the cruel practice, which causes a lifetime of suffering to wild animals. 17/ We’ve trained 1,355 animal managers and vets, from 141 Chinese and Vietnamese institutions in animal welfare concepts. As a result, more than 32 Chinese zoos and four Vietnamese captive animal facilities have adopted improved welfare practices based on our recommendations. 18/ In 2014, our petition against the cruel Nem Thuong pig slaughter festival in Vietnam attracted more than 31,000 signatures. It sparked a national debate which caused the Prime Minister to crack down on animal cruelty. As a result, buffalo fighting has ended at three festivals while five buffalo slaughter festivals have been stopped for good. 19/ Our groundbreaking new tourism model at Vietnam’s Yok Don National Park has ended cruel tourist rides for all three elephants at the park. 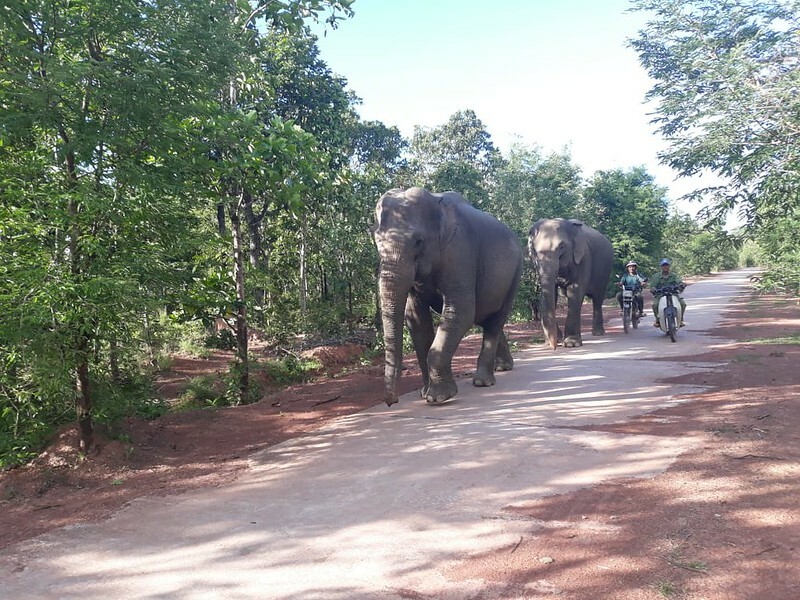 Instead of ferrying tourists around, these elephants will now roam freely in the forest and be observed, not exploited. If financially successful, we hope this model will spread to other parks in the country and even the region. 20/ Our efforts to include animal welfare in the Chinese educational curriculum have seen 370 teachers trained in animal welfare concepts. These Pioneers will use the textbooks and activities we’ve developed to teach animal welfare to hundreds of thousands of children. By pledging a monthly gift today, you can join our global community of compassionate people who refuse to be spectators to animal suffering in Asia.